If you’re building an Android app and want to ensure it’s easy for anyone to use — include people with visual, physical or age-related limitations — Google’s got just the thing. 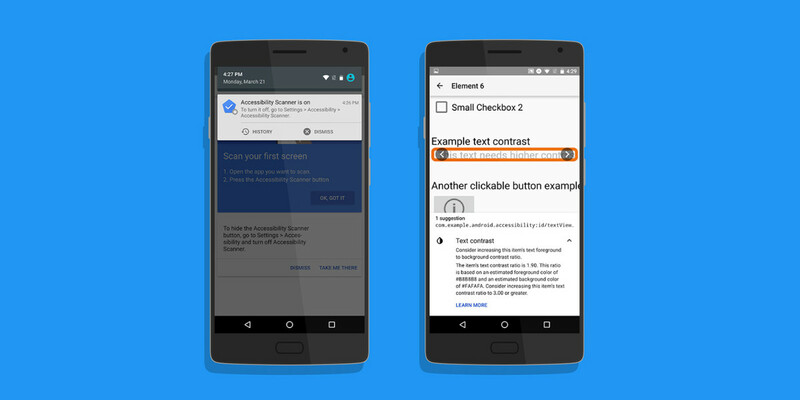 Its new Accessibility Scanner, available for free and compatible with Android devices running Marshmallow 6.0, goes through every screen in your app to detect elements like text and buttons that could be adjusted so they’re easier to interact with. Once you’ve installed Accessibility Scanner on your device, turn it on in the Settings > Accessibility menu and then launch the app you want to test. You can then activate the tool by tapping its floating button. It will then scan each screen for issues and make suggestions for changes you can implement across your app. Developers looking to make their apps as inclusive as possible should find this handy. Google has also previously published extensive guidelines for making apps accessible on this site.